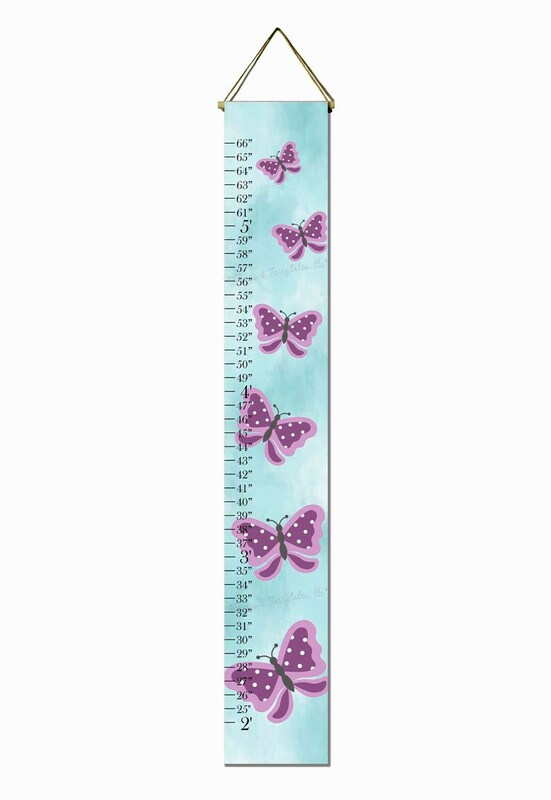 This butterfly canvas print growth chart would be the perfect addition to any little girl's room! 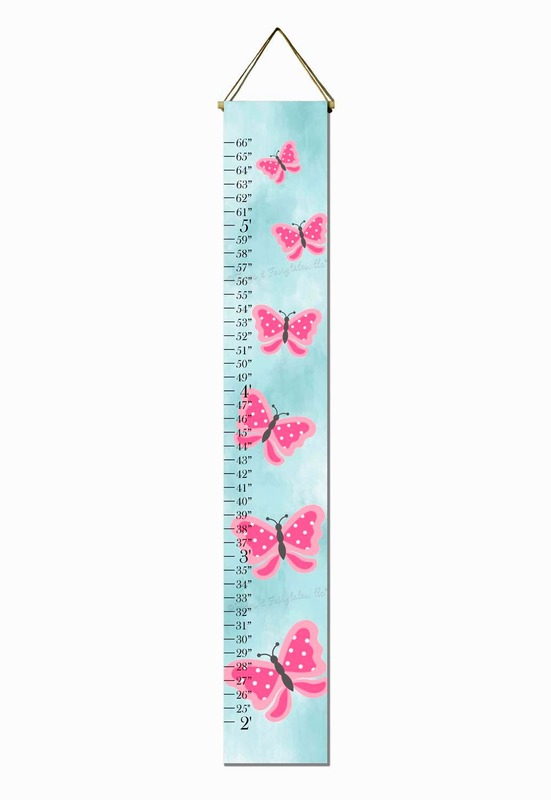 It features an aqua watercolor background with butterflies in either pinks, or purples, your choice! Our growth charts have a dowel on the top and bottom. The dowel rod at the top has twine attached for hanging. You can choose to have it printed in the colors pictured in the listing example, or custom colors by using the drop down menu. You can also choose to have a name added vertically over the butterflies, using the drop down menu. 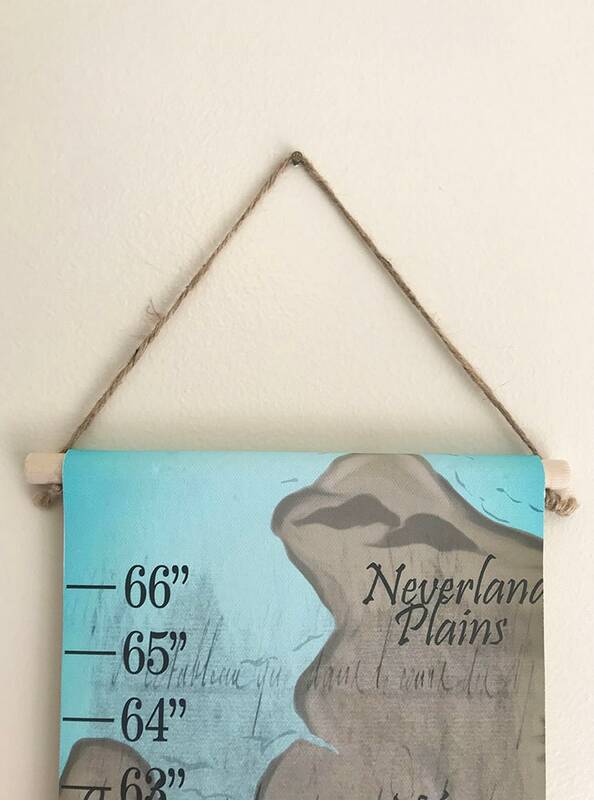 Please leave any color requests and the name to be added to your growth chart in the note to seller section. If you choose custom colors, we will message you with a proof to approve before we print it. Watermarks will not appear on your actual growth chart.